Halo 4 developer 343 Industries could well be working on a HD remake of the classic Halo 2 Xbox game with a Halo 2: Anniversary Edition following on from the success of Halo: Combat Evolved: Anniversary Edition. According to Official Xbox Magazine 343 Industries have already begun working on remaking the sequel for Xbox 360 despite the Halo 4 release not due until Christmas. 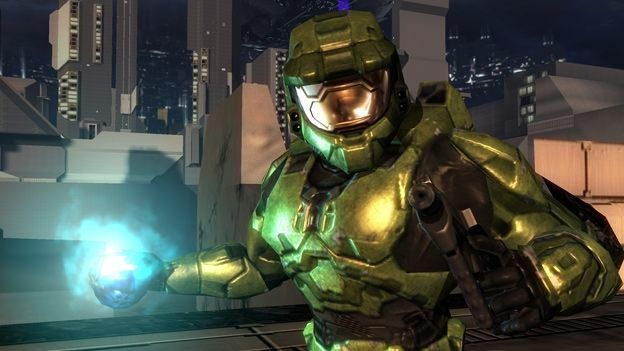 Halo 2 was a game of firsts, not only did it introduce the dual-wielding of weapons but it also introduced a new playable character The Arbiter, a Covenant Elite who has been stripped of his rank and title. Despite receiving early criticism for the ending of the campaign the game is well praised not only for its multiplayer but also for its soundtrack and ability to bring something new to the Halo franchise. When originally released the game brought with it not only new enemies, but new weapons including the Battle Rifle and the now standard ability to hijack vehicles. What remains to be seen however is whether 343 Industries will employ the same approach as Halo: Anniversary Edition by providing Easter Eggs that will expand on upcoming titles and the larger story arc.